Mark Salvatus is an international artist based in Manila, Philippines. 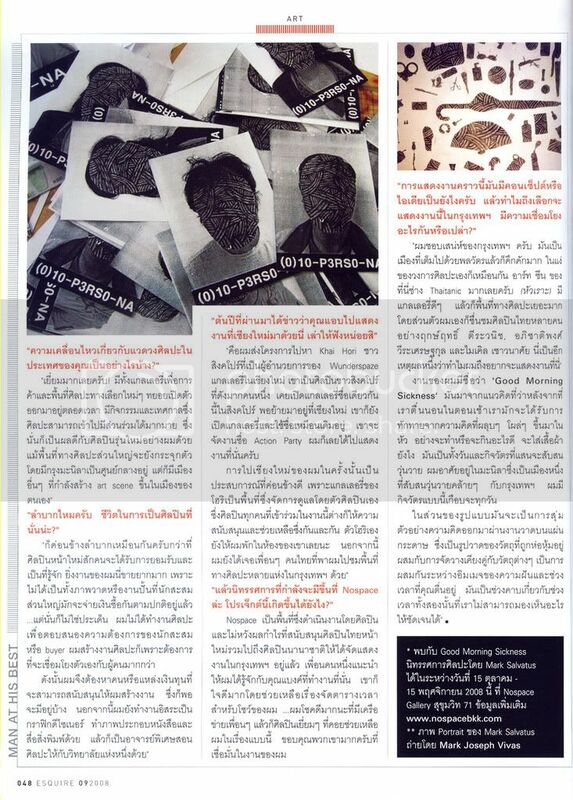 Since 2002, He started to exhibit his artworks in several places, included Philippines, South Korea, Japan, Turkey, Spain and Romania. 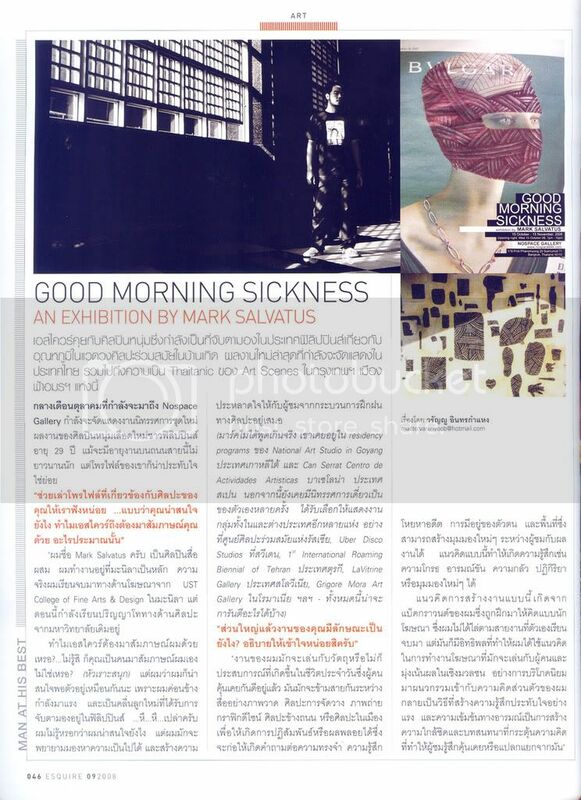 ‘Good Morning Sickness’ is Mark Salvatus’s newest solo exhibition at Nospace Gallery, Bangkok from October 15 to November 15, 2008.